A fourth part to the trilogy? Did you know that the freshwaters of the world cover only ~0.8% of the Earth’s surface, yet are home to ~6% of its species? From a conservation perspective, it’s important to appreciate exactly what we have got before we go about identifying how to protect or manage habitat for it. It’s a challenging enough problem for scientists studying terrestrial animals, let alone those hidden beneath the surface of the water. Added to that, aquatic species often exhibit less obvious differentiation in external characteristics (ie they tend to look the same), hence the term cryptic speciation. With fish like brown trout, subtle differences in morphology might give the game away, and these differences might reflect where and upon what those fish feed, but might not necessarily mean that there is an underlying genetic basis. For example, my studies of Loch Ness brown trout using stable isotopes hinted at three groups based upon different diets: one that fed mostly on typical invertebrate prey around the edges of the loch; one that appeared like Arctic charr to feed primarily upon zooplankton out in the open water; and the piscivorous form that includes ferox which appeared quite happy to munch their own species (Grey 2001). This has parallels to the description of gillaroo, planktivorous sonaghen, and piscivorous ferox, respectively, from Lough Melvin in Ireland. 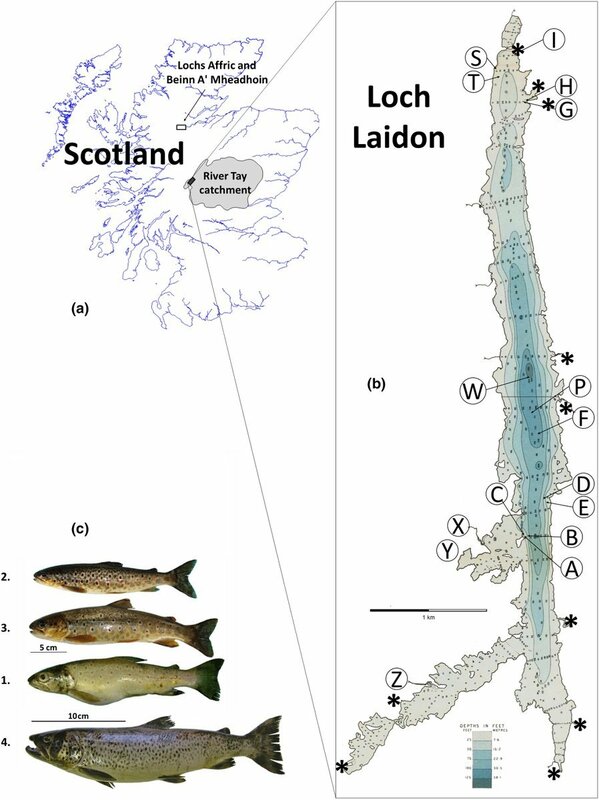 New work published in November by WTT chum, Prof Eric Verspoor of the Rivers and Lochs Institute of the University of the Highlands and Islands, Inverness, and his colleagues has revealed that there is a quartet of trout populations living in Loch Laidon, and each is genetically distinct. There are the three that I alluded to from my study and Lough Melvin, but also a fourth termed a profundal benthic form which essentially means it spends almost all its time in the very deepest waters near to the bottom. Such forms have been recorded in Arctic charr and certain whitefish species, but never before in trout. It has a more robust body, the largest eye, and the fewest yet largest spots. So, there is more biodiversity performing different functional roles than we first thought in these lakes. If the different populations are spawning in different inflowing or outflowing rivers and burns or one population only uses one particular burn and that is under threat, then we need to know in order to conserve them. WTT is supporting Eric in an extension of the project to identify spawning locations. 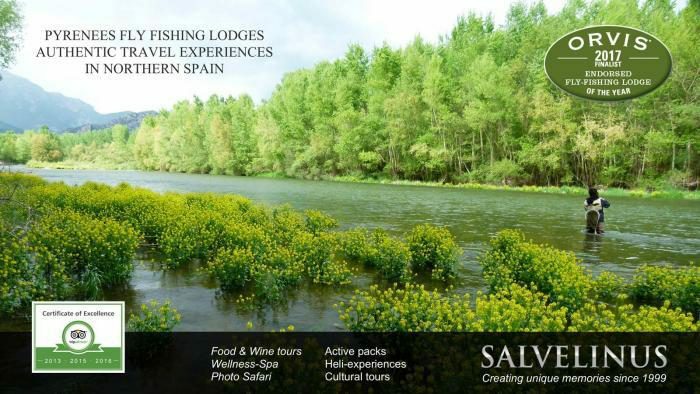 WTT members will get to hear more about this fascinating subject in due course as Eric has agreed to write an article for our magazine, Salmo.